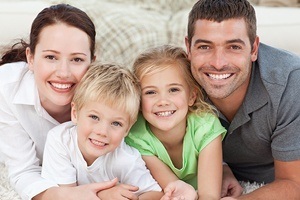 If you have dental insurance, then you are able to more affordably care for your family’s precious smiles. Would you like to enjoy an even great reduction in the cost of dental work? Then be sure to choose a dentist that is in-network on your plan. The dentists at Chester County Dental Arts are delighted to be in-network with Delta Dental. Delta Dental has the largest network of dentists in the United States, so your employer has chosen one of the most reliable and trustworthy insurance companies for your dental care. You can best take advantage of your dental benefits when you schedule regular preventive dentistry appointments and use your Delta Dental insurance in Coatesville. With Delta Dental of Pennsylvania, you and your family’s oral health is supported in many ways. First, regular visits to a dentist in Coatesville are encouraged with no copayments on most diagnostic and preventive benefits. This includes periodic and comprehensive oral evaluations, annual X-rays and prophylaxis dental cleanings. Your Delta Dental insurance covers a certain percentage of the cost for restorative procedures. Then the amount you owe depends on the dentist’s fees. Most Delta Dental insurance plans work within a benefit period that is typically a year, although not necessarily a calendar year. There are yearly maximums and limits that are usually applied to each person in your family. Chester County Dental Arts will be glad to work with you to ensure that you remain within your budget and use your benefits to the best of their allowance. Christina is the practice manager at Chester County Dental Arts. She is your go-to person for all questions about dental insurance generally and Delta Dental specifically. She can help you understand the small print in your insurance policy and will work to ensure that you receive the best that your benefits have to offer. Christina has been working in dentistry for more than 10 years, and has been with our practice since day one. She started her career as a dental assistant and set her sights on building a practice from the ground up. When she is not working in the office to help patients, Christina enjoys the arts, live music and Eagles games, and she is working toward her private pilot license.